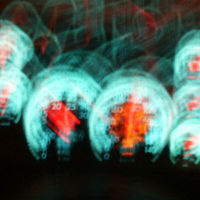 The AAA estimates that fatigued drivers cause about a third of the injury crashes in Florida, but this figure is nothing more than a rough estimate. For one thing, there is no “Breathalyzer” test to determine fatigue; for another, many law-enforcement agencies do not code crashes as drowsy driving-related unless the tortfeasor (negligent driver) falls asleep while driving. It’s important to establish drowsy driving because it is what some lawyers call behavioral negligence. Unlike operational negligence, such as running a stop sign, behavioral negligence, like drowsy or drunk driving, begins before the tortfeasor started driving, so the tortfeasor makes a conscious choice to endanger other people. Juries often award higher damages in behavioral negligence cases than in operational negligence cases, because it is one thing to have a momentary lapse while driving and quite another to recklessly endanger others in order to meet a schedule or for some other reason that is probably rather insignificant. Each element must be proven by a preponderance of the evidence, or more likely than not. Noncommercial drivers have a duty of reasonable care, so they must pull over and rest if they feel sleepy. Commercial drivers have a higher duty of care under Florida law, so they should not drive unless they know that they are well-rested and on their normal wake-sleep schedules. As mentioned earlier, it is usually not easy to establish breach, cause, and proximate cause in drowsy driving crashes. Breach essentially means that the tortfeasor’s conduct fell below the standard of care, while both cause and proximate (substantial) cause mean that there must be a direct link between the breach and the damages. it is more likely than not that the driver was fatigued. The statute defines a serious injury as one that involves disfigurement, death, loss of function, or a “[p]ermanent injury within a reasonable degree of medical probability.” The last category is very broad and could include a wide range of injuries, such a broken bones and whiplash. For prompt assistance from an experienced personal injury lawyer in Brandon, contact Reed & Reed today, because you have a limited amount of time to act.